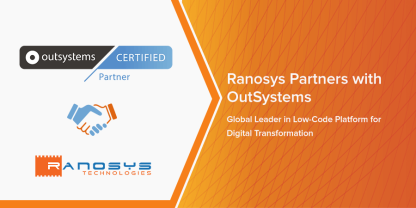 Ranosys strongly advocates the digital transformation and leaves no stone unturned in helping its clients to transform their businesses to “Digital Organization”. 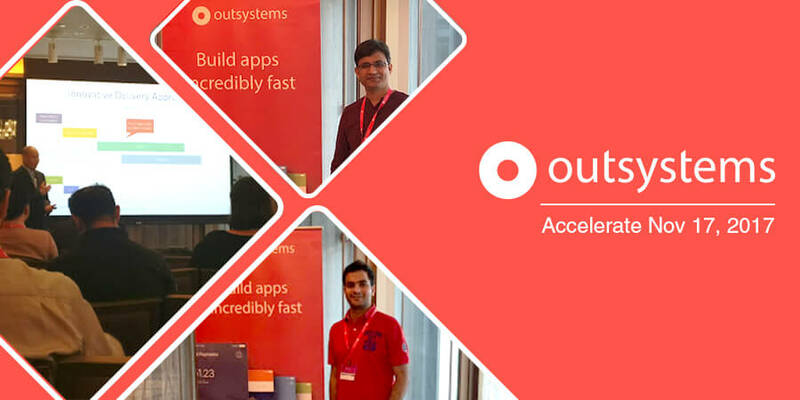 In order to make a strong presence in OutSystems platform, Ranosys joined Accelerate: The OutSystems Asia-Pacific Digital Transformation Seminar organized on November 17, 2017 at Andaz Singapore. The seminar was graced by amazing speakers, industry experts, and OutSystems partners. The session started with the welcome note by Mark Weaser, Vice President of Asia Pacific, OutSystems. Mike Hughes, Director of Product Marketing and Andy Pemberton, Vice President of Global Solution Architecture from OutSystems shared their insights on how to accelerate the digital transformation and mobile and web development with low-code. Daniel Lim, Managing Director of Dreamcloud, shared knowledge on how to accelerate web and mobile app development. 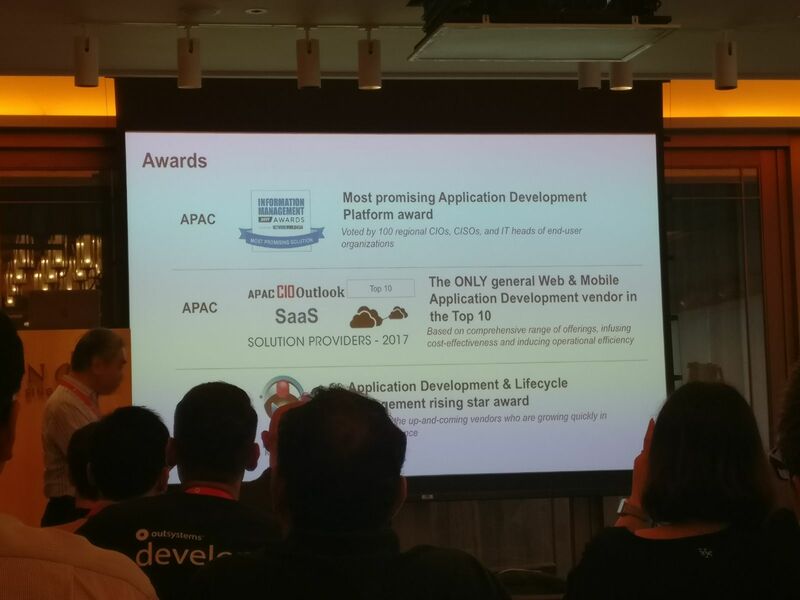 The session was concluded with the accolades and industry awards received by the Outsystems in the last year. 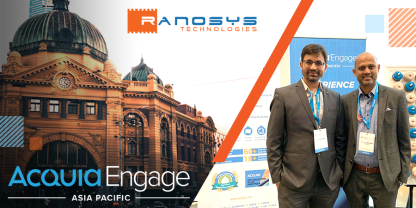 At the end of the session, Team Ranosys got an opportunity to collaborate and exchange ideas with the speakers, industry experts and like-minded people over lunch. The breadth of topics and depth of the knowledge coverage made the seminar very interesting and incredibly valuable. Looking forward to helping our Asia Pacific and global clients leverage the benefits of OutSystems to the fullest. OutSystems has emerged as one of the rapid application development low-code software platforms. Development of small to large mission-critical apps is easier and faster with OutSystems. This platform also speeds up the integration of apps with existing cloud and on-premises systems. A recent survey recorded that 74% of OutSystems customers observed a significant enhancement in their software delivery speed. Several trusted review sites have recognized OutSystems as one of the top-notch low-code development platforms. For instance, TrustRadius has named OutSystems as a 2017 Top Rated Low-Code Platform. It has been recognized as a Leader in Forrester WaveTM report. Gartner has also named OutSystems as a Leader in Magic Quadrant for Enterprise High-Productivity Application Platform as a Service 2017 Report. If you are planning a roadmap to digitalize your business using OutSystems, contact Ranosys.